It’s much easier to tell when you need new windows. However, that doesn’t mean the siding on your home doesn’t need to be replaced from time to time. Here are a few good reasons why you need to think about siding replacement as October turns to November and winter is almost here. 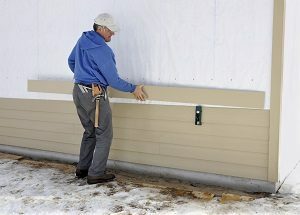 One of the most common reasons you need to replace your home’s siding is when it has broken down. Whether it’s due to the weather, the passage of time, or physical damage, your siding will wear out. This condition gets worse as the siding reaches the end of its lifespan. If your siding has dents in it, then it will look just as bad as if you had dents in the side of your car. If you have aluminum siding, then dented siding will decrease your curb appeal. However, if it’s made of vinyl, then you run the risk of allowing mold and mildew damage to run wild. Old vinyl siding will also start to crack. You might think you can avoid these problems by installing wooden siding, but that material has problems, too. For example, you will have to deal with pest infestation, rotting, and warping. All of these problems will make your siding less efficient, and contribute to your energy bills going up. 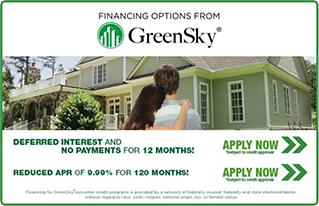 During this past summer, you may have noticed that your energy bills have started to climb. That’s because broken siding will let cool air escape. As fall turns to winter, you may be venting warm air that would otherwise circulate through your home. If you find that your utility costs and energy waste is unacceptable, then it is another sign that you need to replace your siding. You can expect thunderstorms to blow through your neighborhood. This means that you need to prepare for the possibility of severe water damage to your home. It’s entirely possible that your basement will flood. However, water damage can also affect your home’s roof, windows, and siding. Leaks caused by water damage can ruin the interior of your home as well, not to mention the layers of insulation that can help protect your home and your family against the cold. This entry was posted on Wednesday, October 31st, 2018	at 1:49 pm	and is filed under Siding . You can follow any responses to this entry through the RSS 2.0 feed. Both comments and pings are currently closed.